Janice Hanna Thompson is back! Hi everyone! Thanks for stopping by to share in the excitement of LOVE ME TENDER, my latest inspirational romance. When I heard about the new “When I Fall in Love” line at Summerside, I flipped! Why? Because I love the ‘50s, and I love music! (The line is based on song titles from the 1930s to the 1970s.) I happen to be a playwright with a really fun musical comedy titled JOHNNY BE GOOD, a story that’s near and dear to my heart. I decided to put a twist on that stage play and turn it into a rockin’ romantic novel! With that in mind, I hope you enjoy this “Hollywood Heartthrob” interview with four of the main characters from the novel. Welcome, readers! 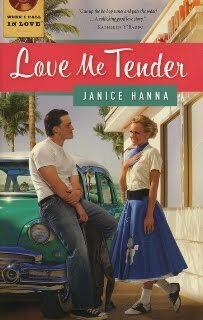 This is Sunset Sam, columnist for Hollywood Heartthrob magazine, here to interview several characters from LOVE ME TENDER, a new book by author Janice Hanna Thompson. I read the book in preparation for this interview and had a hip-hip hoppin’, be-be-boppin’ time reading about the characters down at Sweet Sal’s Soda Shoppe in Laguna Beach. I’ve been to Sweet Sal’s many times, of course. Everyone in Hollywood knows it’s all the rage. Where else can you get a big, thick cheeseburger, hot, salty fries and the thickest chocolate malts in the country? Now that I’ve enticed you with the food, let’s have a little chat with some of the key players in our story. We’ll start with Debbie Carmichael, daughter of the owners of Sweet Sal’s. Sam: Debbie, could you tell us a little about what your day-to-day life is like? Debbie: Most of the girls my age are in college, but I decided to stay in Laguna Beach and help my parents out at our family run soda shop. I have the best life ever! I live across the street from the Pacific Ocean, and love spending time at the cliffs, watching the waves lap the shore. When I’m at the soda shop, the jukebox is always playing. I’m gaga over Elvis’s new song, “Love Me Tender.” It’s all the rage with teen girls right now. Of course, I’m also head over heels for Bobby Conrad, but don’t tell my friends, okay? They think I’m more mature than most of the other teen girls who hang out Sweet Sal’s. Of course, I’m a little distracted by that new guy, Johnny Hartman. He’s so sweet and handsome, and I hear he’s a great singer, too! Sam: Johnny, I read in another article that you came all the way from Topeka Kansas to Hollywood to make it big. How does Hollywood compare to Topeka? Johnny: There’s really no way to compare Topeka to Los Angeles. People out here (in California) are more up on current styles, the hottest tunes and the hippest actors and actresses. Back home, folks are so grounded. That isn’t always the case here in L.A. I hope I don’t sound too stuck up when I say that back in Topeka, I was a big fish in a small pond. And because my dad’s a pastor, I had plenty of opportunities to sing in church. But out here in L.A. no one even knows who I am. My agent, Jim Jangles, is working hard to get me a gig on television. I’m auditioning for Arthur Godfrey’s Talent Scouts soon. Say a little prayer for me! Sam: Bobby, I understand you were slotted to sing at the fundraiser at Sweet Sal’s Soda Shoppe, but had to cancel. Could you explain your sudden departure? Johnny: Yes, I was scheduled to sing at the fundraiser, but just got word that I’ll be filming my new movie that same weekend. I was really disappointed to have to tell the Carmichaels the news, but hopefully they understand. I think it’s going to be okay, because my agent, Jim Jangles, is sending his latest prodigy—a kid from Topeka named Johnny Hartman—in my place. I hear he’s quite a singer. Sam: Sal, could you tell our readers about some of the Hollywood stars you’ve met over the years? Sal: First of all, thanks for including me in this interview! It’s been decades since I was a teen, but I still secretly read Hollywood Heartthrob magazine. (Shh! Don’t tell my husband, Frankie, or my daughter, Debbie!) I’m blessed to be the co-owner of Sweet Sal’s Soda Shoppe in Laguna Beach, and I’ve met a lot of stars who’ve come through on their way to places like Dana Point and San Diego. Some of my favorites are: Doris Day, Gregory Peck, Frank Sinatra, Audrey Hepburn, Lucille Ball, Desi Arnaz, Ozzie and Harriet. There are dozens more, of course. I want to personally invite all of your readers to stop by Sweet Sal’s Soda Shoppe so that they can see the photos on our walls! And while you’re here, why not enjoy a creamy chocolate malt? Sam: Debbie, a little birdie told me that you and the other girls in Laguna Beach are gaga over Elvis, Pat Boone and Bobby Conrad. Now that you’ve gotten to know (and love) Johnny Hartman, what would you say sets him apart from the other great singers you’ve known? Sam: Johnny, you’ve been asked to fill in for Bobby Conrad at the Laguna Beach fundraiser. Can you tell us how you’re feeling as you look forward to the big day? Johnny: I don’t mind admitting I’m a little nervous. Who wouldn’t be? Thousands of girls from Orange County and beyond are looking forward to seeing Bobby Conrad in person. Now I’ve been asked to fill in for him. I’ll be lucky if they don’t boo me off the stage or toss rotten tomatoes at me! Hopefully, my new love song—the one I wrote for the gorgeous Debbie Carmichael—will win them over. I hope so, anyway! 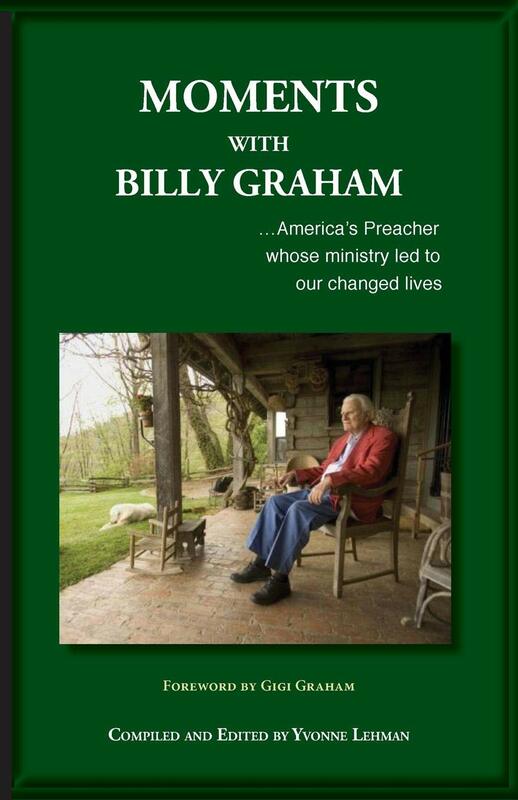 Sam: Bobby, many Christians have a hard time hanging onto their faith once they achieve stardom. You seem so grounded. What’s your secret? Sam: Sal, we were sorry to hear about your husband’s health problems. How is he doing now? Sal: Praise the Lord, Frankie seems to be doing a little better. His heart attack several months ago really shook us up. And we got behind on the mortgage, which has made me a little nervous. Still, I choose to trust God. And now that everyone in town is banding together to put on the fundraiser to save the soda shop, I’m feeling more hopeful than ever! Sam: Debbie, is there anything you’d like Hollywood Heartthrob readers to know as we end this interview? Debbie: Yes, I would like people to know that it is possible to live in Hollywood—to be a big star, even—and still be a person of faith. I’ve witnessed it in Bobby Conrad’s life, and in Johnny’s, too. I’d also like to share that putting your trust in God is really the only way to go. Some problems are just too big for us to handle on our own. When my dad got really sick, I made up my mind to try to “fix” the situation. What I’ve learned is this—only God can truly “fix” anything. And trust me when I say that His “fix” is far greater than anything we could ever dream up! Sam: Thanks so much, folks! It’s been a great interview. Well, there you have it, Hollywood Heartthrob fans. This is Sunset Sam, signing off for this week. See you next time! 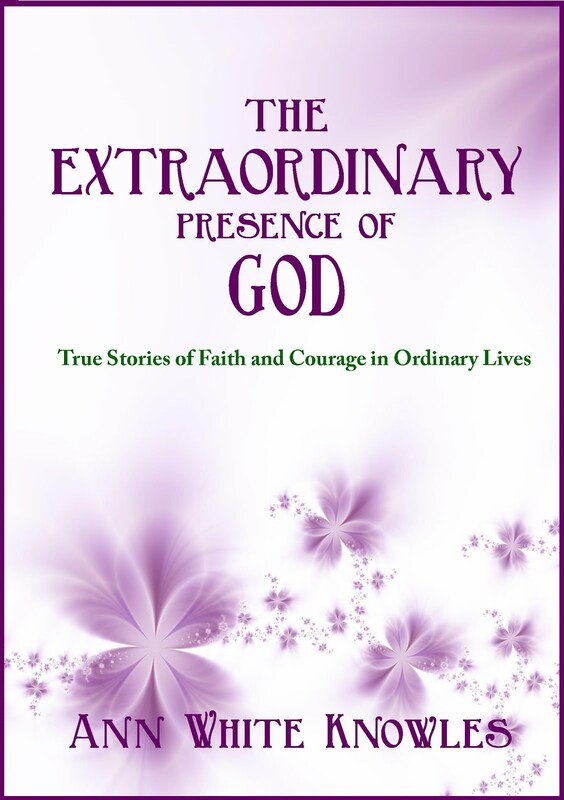 Janice's book can be purchased on her site at www.janicehannathompson.com or at http://www.amazon.com/. GIVEAWAY INFO: Janice is hosting a giveaway on her facebook page(http://www.facebook.com/jhannathompson). To enter, leave a comment on her page with the name of your favorite ‘50s star (movies or music) and explain why you liked him/her. The drawing to win the Be-Boppin’ ‘50s Basket (filled with great ‘50s memorabilia) will take place on the weekend of October 29th – 31st. Why? Because that’s the same weekend Janice is directing a local (Houston) production of JOHNNY BE GOOD the musical comedy that served as inspiration for LOVE ME TENDER. Hello, Alice, and welcome to Write Pathway. I’m thrilled to have you here to share some special thoughts about your life and your writing journey. Hi, Ann. Thank you for inviting me to join you. I know that you spent a good part of your life in Japan. Has growing up as a missionary kid in Japan influenced your writing? I think spending my childhood in Japan has given me a global view. I've always been interested in other people, cultures, and countries. Both my elementary and high school had kids from all over the world. I love to travel. My novels have an international scope to them even though they are all set in North Carolina. For example, the one coming out this October, Hatteras Girl, has a Korean-American as the main character. Do you ever cook Japanese food at home? Since I spent so much time in Japan, my favorite foods are Japanese. I love sushi—the real Japanese kind without the cream cheese and avocados. Yes, I will make several dishes that are sentimental to me. My husband and kids like using the Japanese bowls and chopsticks when I make sukiyaki, nabeyaki, or udon for dinner. Alice, I recently attended one of your “Writing the Heartache” workshops. Did your writing journey begin with writing your heartache? Did becoming a writer come from your need to do this or have you always had that “writer” somewhere deep inside you? Ever since I was six in a plaid skirt and red tights, I wanted to write. I used to write stories and illustrate them with stick figures. Then I’d staple the pages together. My first grade teacher had me read the stories to the rest of the class and even to the third and fourth grade classes. 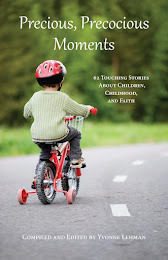 Before my son Daniel died, I had some pieces published in Standard Publishing’s devotionals, the Upper Room, and a short story in a David C. Cook publication called Sprint. But after he died in 1997, my writing took on a new level. I wrote to keep sane and was amazed when told that my articles and poems helped others in their grief. How did you transition from writing about Daniel and the heartache to writing novels? And when did you begin your first novel? How long did it take you to write Rain Song? Rain Song was a work-in-progress for about eighteen months. I started it in 2004 and worked on it off and on. I changed it from first person to third and then back to first. In 2006, an agent said she loved the novel and wanted to represent me. Ever since I was little I wanted to write a novel. So this has been a life-long dream for me. Most writers attend writers conferences to learn how to improve their craft and to pitch their books to agents and publishers. Did you pitch your books at a writers conference? Would you like to recommend your favorite conference? I have never been to a writers’ conference. I found my agent online; I’ve yet to meet her in person. I sent a query email to her at the end of August 2006 and she said she liked the story line and asked to see the first three chapters. After she read those, she wanted the whole novel. I had to rewrite it quickly as it was not yet completed in the new version. My agent called two weeks after receiving the entire manuscript to say she loved Rain Song and wanted to represent me. I was contracted nine weeks later for a two-book deal with Bethany House. Your books are written in first person. Since I have found few books written in first person, I was eager to read Rain Song and How Sweet It Is. Why did you choose to use first person? One of my favorite authors, Elizabeth Berg, writes in first person. I guess you often write what you enjoy reading. Amy Tan wrote the Joy Luck Club in first person—that is another of my favorite books. First person is the easiest and most comfortable style for me to write in. Your latest book, Hatteras Girl, comes out in October. Is it also written in first person? Yes, and my fourth novel due out in October 2011 is also in first person. I guess I’m just a first person type of gal. What gave you the idea to write Hatteras Girl? I love my time spent each year on the North Carolina coast. The Outer Banks is especially meaningful to me. Part of me has wanted to run a bed and breakfast, except I think I'm probably too lazy to do a good job. So I let Jackie and her friend Minnie, have the desire to run one—the old Bailey House—located in Nags Head. The house is not without its problems and the handsome realtor does not help in the long run. There is romance in the novel, because I think when you are on the North Carolina coast, it's always romantic. Tell us a bit about your novels. My first novel, Rain Song, is set in Mount Olive, NC, home to the famous Mount Olive Pickle Company. The title was taken from a Japanese children's song because the novel has a connection to Japan. How Sweet It Is takes place in the Smoky Mountains, right in Bryson City, NC. All my novels deal with special recipes because cooking and eating well are important aspects to living well. That’s what Virginia Woolf said and I agree with her. Since you are a North Carolina author and your books so far have been set in NC, I’m sure you are a big seller in your state. Personally, that’s one of the things I loved about your books; I knew all the settings very well. Does the setting of a novel matter a great deal with regard to who buys it? I think people generally like Southern fiction. Southerners find it comforting and northerners find it nicely peculiar. You told me that you are facing a deadline with another book. Would you like to share something about what we can expect or do you plan to surprise us? The tentative title for my fourth novel is A Wedding Invitation. This novel takes place in Falls Church, VA, Winston Salem, NC and the Philippines. It’s a story about second chances. Samantha, the main character, spent a year in a refugee camp in the Philippines as a teacher, and when a student from her past meets her again in a cemetery in Winston Salem, all sorts of interesting things happen. The journey to publication is often a struggle and can be very discouraging. Is there a word of advice or encouragement you’d like to pass along to beginning novelists who are trying to get published? Write often. Read the authors you like. Edit, edit, edit. Try to avoid as many clichés as you can. Stretch your vocabulary and observe the world around you to get a handle on realistic dialogue. Keep striving for your goal. It can happen. Hang around those who encourage you and believe in your dream. Alice, thank you so much for sharing about your writing journey. Every time you share, you help other aspiring writers. Alice will give a copy of How Sweet It Is to the winner of the September contest. Be sure to leave a comment to enter the contest. Become a follower and you can enter twice. Tell your friends to visit http://write-pathway.blogspot.com/ and enter the contest. Winner will be drawn September 30. "How To Get Started as a Freelance Writer"
Join full time author and teacher, Janice Thompson, as she shares the inside secrets to getting started as a successful freelance writer. With 20 years experience, nearly 60 published books, and tons of published articles to her credit, Janice can help you to get started, the RIGHT WAY. 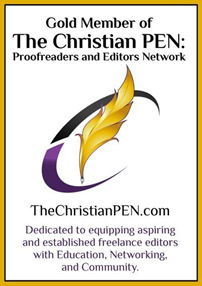 Webinar topics include:What is "freelance" writing, anyway? Where do I go to learn the writing craft? Where's the money? How do I get my foot in the door? How do I get an editor to sit up and take notice? What tools and resources do I need to get started? How much does it cost to get started? Get the information you need to get started on your freelance writing career. Sign up for this webinar today. It's FREE! "How: To Get Started as a Freelance Writer"
After registering you will receive a confirmation e-mail containing information about joining the Webinar. Please feel free to share this announcement with your writing groups! We can host up to 100 in the room. "Love, Laughter and Happily Ever Afters!" 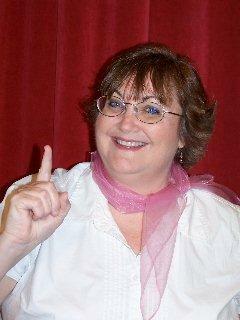 Today I'd like to introduce you to Author and Writing Instructor, Janice Hanna Thompson. Janice is adding a new dimension to her career this month as she launches her online courses. I have had the privilege of taking the current course with Janice and cannot tell you how much she taught me about making the most of the opportunities that are available to freelancers. After you read this interview, check out her Web site and sign up for a course that is sure to help you make money. Ann: Janice, please tell us a little about your new venture? Janice: Of course! Thanks for asking. On April 20th, 2010, I debuted my new writing course “Becoming a Successful Freelance Writer” at http://www.freelancewritingcourses.com/. The sole purpose of this venture is to teach struggling freelance writers how to earn money with their writing. Here’s how it will work: students can purchase one lesson (for $24.95) or all ten (for $199). They don’t have to feel compelled to buy the whole package, though they will get a package price, if they do. Each lesson will include an audio file and a video power point presentation of me teaching the lesson (available with just a click of the mouse), a corresponding audio script, a downloadable worksheet, a bonus feature, and full access to the site’s forum, where I will meet with authors for some group mentoring (at designated times). Right now there are ten lessons, but eventually those ten lessons will become ten separate categories with multiple lessons in each. For example, the current lesson on magazine article writing will eventually have multiple other lessons underneath it—all meant to teach writers how to make money writing articles. People who take these courses will have the benefit of meeting other freelancers in the forum and can also chat with me about their projects. Best of all, the site will continually grow. New, fresh material will always be available. (I’ll be recording new lessons routinely.) I’m so excited, because I know that struggling freelancers can and will learn how to make money with their writing. Ann: What prompted you to set off on this new adventure? Janice: For years I’ve been writing novels and non-fiction books. I’ve been so blessed to have over fifty books published, as well as dozens of magazine articles and even a movie script. It’s been quite a ride. . .and it’s not ending anytime soon! I’m currently contracted through 2011. The longer I’m in this business, however, the more I’m aware of the basic need of the average freelance author to make “better” money. Sure, many of them eventually sell books. They get advances and royalties, (though, not often in the range they had hoped). As a full-time freelancer, I’ve faced this myself. Several years ago, I found myself hollering, “Where’s the money?” I made up my mind to find as many creative ways as I could to bring in money as a freelancer. I’ve learned so much since then, and want to share what I’ve learned with others, so that they can benefit, too. Ann: Why are you so passionate about teaching others how to make money with their writing? Janice: I meet so many struggling writers. So many are just hoping and praying to sell a book. They pour all of their energies into that venture. Most don’t realize that they could be making money much sooner if they would explore other avenues (besides just books). The possibilities are endless. If I can share what I’ve learned about the money-making aspects of writing, then I’ve helped another struggling writer on his or her journey. Ann: Tell us a little about your own writing. Janice: As I mentioned above, I’ve written just about everything! 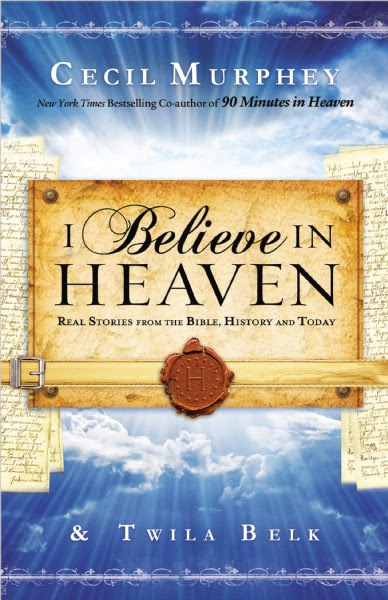 Most of my writing is for the Christian market, so my stories have a clear faith element. Lately I’ve been writing romantic comedies, (most recently the “Weddings by Bella” series), but I also enjoy writing mysteries, kid’s stories, historicals and more. I continue to write magazine articles, because they provide a great financial supplement. I’m also very excited about my many write-for-hire projects, because a huge chunk of my income comes from those. 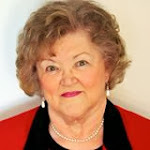 To learn more about my books visit my author site at http://www.janiceathompson.com/. Books can be ordered directly from the site. Ann: What has it been like, supporting yourself full-time as a freelancer? Is there really money to be made? Janice: As I mentioned, there was a time (back in 2007) when I wasn’t sure I could do it. At that time, I hadn’t set any real goals for myself. That all changed in the fall of 2007 when I began to strategize about the future of my writing. Instead of worrying about the challenges I faced, I got busy and put together a plan. I began to look for non-traditional ways to earn money with my writing. . .and it worked! That’s not to say I’ve “arrived,” but I have managed to support myself full-time from that point till now. Ann: I think the writing industry would be very competitive. Why do you want to see others succeed? Aren’t you shooting yourself in the foot when you hand off potential freelance jobs to other authors? Janice: The writing industry is competitive, but that doesn’t mean I am! Sure, I want to make a name for myself, (most writers do), but I’m equally as interested in training up other writers to be the best they can be. Why? I believe that Christian writers have been called by the Lord to spread His love through their writing. How will they get the word out if someone doesn’t show them the ropes? I love to see others succeed because we’re all one big happy family and we care about each other. Ann: I know that you worked for several years as a writing teacher at a school of the arts. Could you share a little more about that? Janice: From 1996 – 2001 I taught creative writing at a Houston area school of the arts that catered primarily to home-school students. What a blast I had! (Truly, these were some of the best years of my life.) Several of my students traveled with me to national writing conferences (like Mount Hermon and ACFW), and a few went on to be published in various genres. My students will tell you that I was the most creative teacher on the block. I was always looking for a new, fresh way to teach the writing craft. My writing lessons have been compiled into a text, which I titled, “Creative Writing for the Christian Student.” It is available to freelance writing course participants. I love stirring up the creative gifts in my students! I hope that shows in these lessons! Ann: If you could list one of the biggest frustrations that freelance writers face, what would that be? Ann: You’ve said there’s money to be made. . .but where? What avenues are available to freelancers? Janice: At http://www.freelancewritingcourses.com/, students will explore multiple areas where they can earn money with their writing. Lessons include: · Setting Career Goals · Magazine Article Writing · Write for Hire Work · Marketing and Public Relations · Becoming a Public Speaker · Becoming a Creative Writing Teacher · Making Money as an Editor · Writing and Selling the Non-Fiction Book · Writing and Selling the Novel Secrets From the World of the Pros Each lesson will cover a host of possibilities and will give real, practical suggestions. Ann: You’ve mentioned other lessons that aren’t yet available. Could you share a few here? Janice: Sure! Each of the ten topics listed above will eventually become its own course (with multiple lessons in each). I’ll be heading back into the recording studio soon to cover the topic of magazine articles more thoroughly. I’ll also record lessons covering all aspects of fiction writing. We’ll talk about passive vs. active writing, plotting, characterization, and much more. I’ve also got a host of lessons coming up related to non-fiction books. We’ll delve into specific topics related to write-for-hire work (my favorite!) and will share a host of lessons on marketing and PR. Hang on for the ride! Participants in these various courses will get the tools they need to work as a pro in the industry. Ann: How, exactly, will these courses work? Janice: When participants sign up and pay, they will be granted access to the “inner sanctum” of the site, where they can view the various components of the lessons, (the audio file, audio script, worksheet, power point and forum). I would suggest folks start with the first lesson (Setting Goals) and go from there. They can print up a copy of the worksheet and follow along with the audio and power point presentation. Then, at a designated time, participants can meet with me in the forum to discuss the topic at hand. I love the fact that this is all so user-friendly and participants can work at their own pace. Ann: If you could tell beginning freelancers one thing, what would it be? Janice: Don’t give up. Keep going and keep looking for creative ways to make money. Examine new markets. Learn all you can about the industry. Become friends with editors. The potential for money-making is there, but much of it is relational. Ann: Why do you feel so strongly about stirring up the gifts? Janice: There’s a scripture I love where the apostle Paul speaks to his young protégé, Timothy: “For this reason I remind you to fan into flame the gift of God, which is in you through the laying on of my hands.” (II Timothy 1:6 NIV) The King James version uses the words “stir up the gift” instead of “fan into flame the gift.” The idea is the same. Gifts need stirring and fanning. As a published author, I make it my goal to “stir the gifts” of those hoping to be published (or hoping to be published in more markets). I know that these lessons will stir people up. I could sense it as I recorded them. Changing lives. . .and encouraging writers. . .what could be better? Ann: I understand you won the 2008 American Christian Fiction Writers “Mentor of the Year” award. Could you tell us more about that? What role does mentoring play in your life and how will you incorporate mentoring into your online writing courses? Janice: I have a theory about mentoring. I believe that everyone should have someone they’re mentoring and someone they’re being mentored by. If we ever think we’re too “big” to be mentored, we’re in trouble! And it’s imperative that we pour into the lives of those who are learning the writing craft, especially if we’re published and/or doing well in the industry. I’m tickled that I received the ACFW Mentor of the Year award. I can think of nothing better to be remembered for than mentoring others, to be quite honest. Writing books is great, sure. And getting my name out there is fun, too. But if I don’t mentor. . .if I don’t pass along what I’ve learned, then my writing is nothing but selfish pleasure. I don’t ever want to be known as a selfish author. I want to be known as a giver and an encourager. My prayer is that people who take this course will see my heart for all writers to succeed and earn money doing what they love!